Home appliances are not a luxury. They are necessary for each household in Ontario and any problem will just make the life of homeowners more difficult. The goal of Appliance Repair Markham is to eliminate problems and ensure that each appliance operates properly and consumes limited energy. We have excellent contractors to cover your needs, provide same day appliances repair service, are here to replace damaged components and take care of urgent issues. We make your life easy, cost effective and convenient. We support you during troubled times and our teams will be there to fix anything wrong with any home appliance. Do you need small appliance repair? We fix both large and small appliances. Our Home Appliances Repair Markham crews consist of experienced technicians and every appliance service technician has expert skills and the knowledge to do the job right. We service and install home appliances with great care and attention to the tiniest detail. After having worked in this field for years, we have the experience to guide our way into fixing appliances of all models. We are familiar with new technology appliances and have the expertise to repair electric and gas powered ones. We excel in kitchen appliance repairs and fix any problem with the dryer or the washer. What’s your need today? Our teams offer same day Home Appliances Repair in Markham. We take care of any issue related with the fridge, dishwasher, garbage disposal, laundry appliances or smaller ones. Our company in Markham had the prudency to invest in great equipment and top technical teams from the very start and our efficiency to solve problems is guaranteed. With our home appliance repair, your problems will be fixed immediately. With our maintenance service, you can be sure of your safety, low energy consumption and good operation of the appliances. 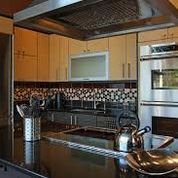 With our installation services, the appliances will work efficiently. We make your issues ours and manage to exceed your expectations with our excellence.